By Brian Hoey. Apr 21, 2017. 9:00 AM. Vellum, a fine parchment traditionally made from calf skins, was for many years the default material for use in printing important manuscripts or documents. Many of Gutenberg’s first Bibles, for instance, were printed on Vellum, as were many illuminated manuscripts from the Medieval Era. And, in fact, despite the decrease in the material’s prevalence over the centuries, all British Acts of Parliament are still printed and archived on vellum. Differentiated from other forms of parchment by the quality of the animal skin used (debate continues as to whether vellum must refer to parchment made from calf skins or if it is more broadly applicable to finer quality parchment), vellum is extremely labor-intensive to produce. 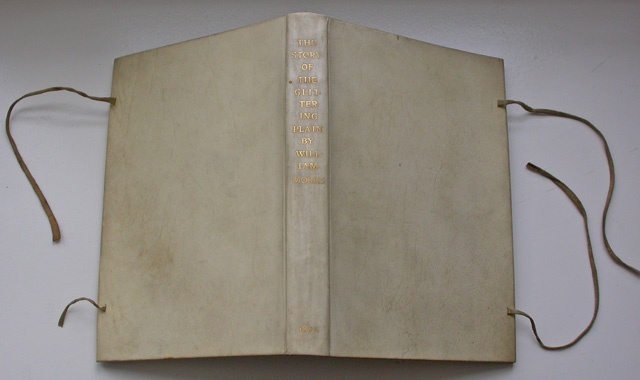 The resulting product, however, is durable and high-quality—suitable for printing a book of hours or a religious work. To learn more about the process, check out the four videos below. This first video takes you through the entire process, from cleaning skins and removing hair to cutting and drying. The video speaks to parchment-making more broadly, but you’ll note that the animal skins shown at the beginning are from calves, meaning that at least some of what they’re producing is vellum. These next two videos give another glimpse of the process, focusing explicitly on vellum. They follow Mike Rowe (of Dirty Jobs (2005-2012) fame) as he spends time with some of the vellum makers at Pergamena, a Montgomery, NY based leather and parchment purveyor with long parchment-making roots. Finally, the fourth video gives an overview of the history of vellum through the ages. While the content itself is fascinating, the real treat here is getting a look at some breathtaking vellum manuscripts.